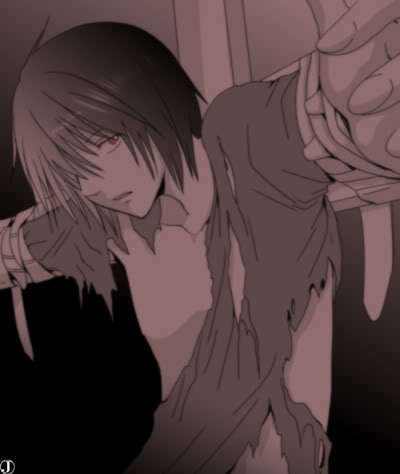 WHOEVER PUT HIM UP THERE - *stares around, trying to discern if there are fangirls in the bushes* - GET HIM DOWN NOW! On the serious side, really good picture. It reminds me of the similarities between Mello and Beyond. -hiding in the bushes while taking pictures- HE KNOWS! *hiding with space fantasy* Are you done yet?